Apple’s new iOS 11.4 update is treating our iPhone 6s well, but some users are reporting problems with the latest version of iOS 11. The iPhone 6s iOS 11.4 update comes with an assortment of changes including the long-awaited Messages in iCloud. It also comes with key bug fixes and important security patches. If you’re dealing with issues and want access to the latest iOS features, you should consider downloading iOS 11.4 on your iPhone 6s or iPhone 6s Plus right now. The iOS 11.4 update could improve your device’s performance. There’s also a chance it’ll have a negative effect on your iPhone 6s or iPhone 6s Plus. iOS 11.4 is causing a variety of problems for iPhone 6s and iPhone 6s Plus users. Some of these problems are minor bugs, but we’re also hearing about weird battery drain, lag, issues with first and third-party apps, and lots of other issues. There’s no telling what you might encounter during the install or after you get iOS 11.4 on board so you need to approach the update with caution. If you’re upgrading from iOS 11.3.1, you get the shortest list of changes. If you’re coming from an older version of iOS 11 or Apple’s iOS 10 operating system, your iOS 11.4 update will be much larger thanks to the features and fixes from iOS 11 updates you missed. Our walkthrough will take you through everything you need to know about the download and installation. It addresses iPhone 6s iOS 11.4 problems, iOS 11.4’s changes, and what you can expect from Apple moving forward. It also includes fixes for iPhone 6s iOS 11.4 problems, iPhone 6s iOS 11.4 downgrade info, and some information about the iOS 11 jailbreak. Before we get into all of that we want to give you some quick impressions of the iOS 11.4 update’s performance on our iPhone 6s. Our transition from iOS 11.3 to iOS 11.4 took about eight minutes. The download took a couple of minutes and the installation process took about six minutes to finish up. If you’re coming from an older version of iOS, say iOS 11.2.6, your download and installation will take a lot longer. We’ve been using the iPhone 6s iOS 11.4 update for several days now and we haven’t run into any major problems. Battery life is currently holding up. We haven’t noticed any abnormal drain during our normal routine. Wi-Fi, Bluetooth and cellular data all appear to be working normally. The iPhone 6s in our possession feels pretty fast and stable though we have seen occasional choppiness when opening and closing folders. We haven’t noticed any lag when pulling up the new Control Center or Notification Center and we haven’t noticed any random reboots or lockups. Our core apps, which include Asana, Slack, and Chrome, are running well. We haven’t noticed any major problems with their performance. At least not yet. Overall, iOS 11.4 is looking pretty good on the iPhone 6s. If you’re dealing with problems on an older version of iOS 11, you should definitely consider a move to the new firmware. Make sure you prepare your iPhone for the transition from iOS 10 to iOS 11.4 or whatever you’re currently running (iOS 11.0/iOS 11.0.1/iOS 11.0.2/iOS 11.0.3/iOS 11.1/iOS 11.1.1/iOS 11.1.2/iOS 11.2/iOS 11.2.1/iOS 11.2.2/iOS 11.2.5/iOS 11.2.6/iOS 11.3/iOS 11.3.1) to iOS 11.4. It’s difficult to predict what problems you’ll encounter once you initiate the iOS 11.4 download. The installation itself could cause any number of problems so you’ll want to make sure you’re ready and your important data is backed up. If you don’t know where to start you’re in luck. We’ve put together a game plan that will take you through the steps we take before we install software updates on our phones. Some of these steps will take a few seconds others will take you a lot longer. If you don’t have a lot of time to commit to the pre-installation process just be sure you backup your files so that they’re safe. It’s better to be safe than sorry, especially when you’re moving from one operating system to another. As we push away from the iOS 11.4 update’s release date we’re hearing and seeing complaints about the various iOS 11.4 issues plaguing iPhone 6s and iPhone 6s Plus users. The current list includes some of the usual suspects: abnormal battery drain, Bluetooth issues, lag, freezes, sound problems, installation problems, and random reboots. We’re also hearing about bugs and issues with various first party applications including Mail, Podcasts, and Apple Music. This is why we recommend preparing for the iOS 11.4 update, even if it seems tedious. There’s no telling how it will impact your iPhone 6s’ performance. The next iOS 11 update could be weeks away so you’ll need to be proactive if you do run into issues. If you do run into an iOS 11.4 problem on your iPhone 6s or iPhone 6s Plus there’s no need to panic. You should be able to fix your issue from the comfort of your computer chair and without having to leave this website. We’ve released a list of fixes for the most common iOS 11.4 problems. Start there if you’re dealing with a Bluetooth issue, random reboots, or problems with your Touch ID fingerprint sensor. We’ve also put together guides that could help you improve your device’s battery life and iOS 11’s overall performance. If you’re noticing lag or if your battery is suddenly draining faster than usual, take a look at those resources. If you can’t stand iOS 11.4’s performance on your iPhone 6s or 6s Plus, you can try rolling back to the previous version. Apple’s currently signing on iOS 11.3.1 which means you can downgrade your iPhone 6s or iPhone 6s Plus in an effort to improve performance. Unfortunately, Apple’s stopped signing on iOS 11.3 and older versions of iOS. And within a few weeks, it’ll stop signing on iOS 11.3.1 as well. If you think dropping down to an older version of iOS 11 could help, look into a downgrade. If you’re moving up from iOS 11.3.1, your iOS 11.4 update comes with several notable changes including Apple’s long-awaited Messages in iCloud feature. The feature was originally supposed to arrive alongside iOS 11 in September, but was delayed for additional testing. For more on iOS 11.4 and its feature-set, please take a look at our guide to the iOS 11 update. If you’re moving up from iOS 11.3, your iOS 11.4 update comes with a few more security patches. iOS 11.3.1 was primarily focused on fixing touchscreen issues on the iPhone 8 and iPhone 8 Plus. If you skipped iOS 11.3, your iOS 11.4 update comes with upgrades to Augmented Reality (ARKit), a new Business Chat feature in Messages, battery throttling features, upgrades to Apple Music and the App Store, and a whole lot more. If you’re unfamiliar with the features on board the iOS 11.3 update, please take a look at our walkthrough. It goes over them in detail. If you’re running iOS 11.2.5 on your iPhone 6s you get two additional changes with iOS 11.4. One is a fix for an issue where using certain character sequences could cause apps to crash and the other is a fix for an issue where some third-party apps could fail to connect to external accessories. If you’re currently running iOS 11.2.2, iOS 11.4 delivers more than bug fixes. It also comes with iOS 11.2.5’s changes which include support for the HomePod speaker and an upgrade to Siri that lets you instantly stream a news podcast when asking your personal assistant about the news. If you’re moving your iPhone 6s up from iOS 11.2.1, your iOS 11.4 update comes with a patch for the Spectre exploit. If you’re upgrading from iOS 11.2, your iOS 11.4 update comes with a fix for HomeKit issues. If you use HomeKit at your house, you’ll want to download iOS 11.4 right away. If you’re coming from an older version of iOS, your iOS 11.4 update will be much larger due to iOS 11.2 and any other updates you skipped. 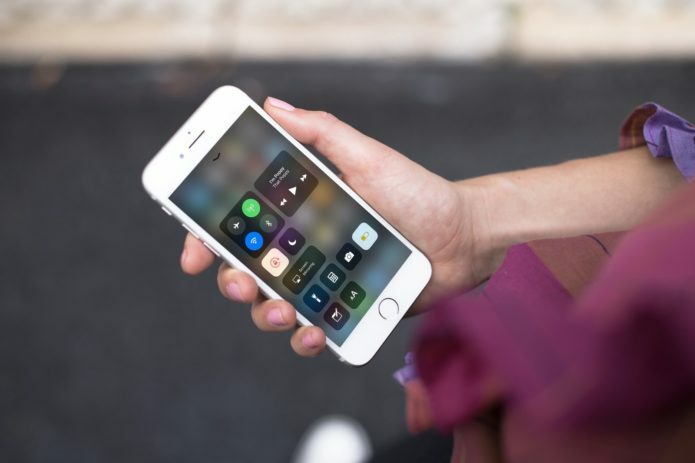 The iPhone 6s iOS 11.2 update was packed with changes including Apple Pay Cash, a fix for a calculator issue, a fix for an autocorrect bug that caused some devices to swap “it” for “i.t.” and a fix for a potentially devastating date bug. It also included enhancements to the TV app. For more on the changes on board the iOS 11.2 update, take a look at our walkthrough. It will guide you through everything you need to know. If you’re coming from iOS 11.1, you’ll also get two bug fixes with your version of the update. One is for a Hey Siri issue and the other is for that autocorrect bug that caused the “i” to change to a capital “A” and a rectangle with a question mark. If you’re coming from something older than iOS 11.1, your iOS 11.4 update will be more substantial thanks to iOS 11.1. Apple’s first milestone upgrade included new emoji characters including a zombie, vampire, and a face with a monocle. If you want to use and see emoji characters from friends, and you aren’t running iOS 11.1 or above, you’ll need to download the iOS 11.4 update. iOS 11.1 also brought back the 3D Touch App Switcher gesture that went missing in the initial iOS 11.0 release. If you use 3D Touch on your iPhone 6s, this is another reason to download iOS 11.4. Apple’s confirmed a new iOS 11 update. The company’s pushed an iOS 11.4.1 update into beta for developers and those participating in the company’s free Beta Software Program. The iOS 11.4.1 update is a maintenance upgrade which should be music to the ears of iPhone 6s and iPhone 6s Plus users dealing with problems. Unfortunately, we don’t know when Apple will pull it from beta. The company hasn’t confirmed a release date. Apple’s also reportedly planning to introduce its iOS 12 update at WWDC 2018 on Monday, June 4th. The update will likely go into beta for the iPhone 6s and iPhone 6s Plus shortly after the conclusion of the keynote. The final version of iOS 12 should arrive alongside a new iPad and new iPhones this fall. If you’re using a jailbroken iPhone 6s or iPhone 6s Plus you’ll have to skip the iOS 11.4 update for now. Developers recently released a iOS 11 jailbreak. Unfortunately, the jailbreak comes without Cydia and only supports select versions of iOS 11. The only way to jailbreak your device is if you’re running iOS 11.0-iOS 11.1.2. The iOS 11 jailbreak doesn’t support iOS 11.2, iOS 11.2.1, iOS 11.2.2, iOS 11.2.5, iOS 11.2.6, iOS 11.3, iOS 11.3.1, iOS 11.4, or iOS 11.4.1 beta.